An uncontested divorce can be relatively quick and inexpensive. Of course, there are always dangers in "going it alone." Did you overlook any property that should be subject to equitable distribution? Are there pensions? Did your spouse dissipate marital assets prior to filing for the divorce. Are you entitled to spousal maintenance? There are many issues that a lay person may overlook in their quest to get out of a marriage that isn't working. You want to make sure your rights are fully protected. Mistakes can have lasting consequences. Unnecessary delay can occur when your papers are rejected by the court because something is missing or wasn't done right. An attorney will help make sure that you don't encounter such delays. Even in the most amicable split, you want to make sure that all bases are covered. We will make sure that everything is handled correctly. Court backlog can sometimes delay getting your divorce finalized as quickly as you would like. While we can't control the Court's calendar, we can make sure that your papers are filed expeditiously and that there are no errors which could cause further delay. Use our contact link for immediate response. Here is the link. Divorces are some of the most complex cases that an attorney can handle. 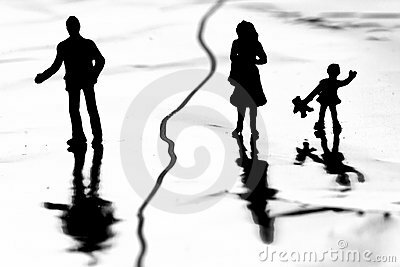 The Domestic Relations Law (DRL) is the statute under which a divorce action is file. In 2010, New York became the last State to adopt a "no-fault" grounds for getting a divorce. While not eliminating the fault grounds which had previously existed under DRL § 170, an additional provision was added. DRL § 170 (7), irretrievable breakdown of the marital relationship for a period of at least six months, makes it no longer necessary, or practical, to file a grounds based action. This eliminates the need to prove grounds such as adultery or cruel and inhuman treatment. While the elimination of the need to prove alleged wrong-doing on the part of your spouse does somewhat simplify the divorce process, there are myriad other issues that depend on a skilled attorney for resolution. The financial aspects of separating two lives that have been conjoined for many years is a complex process. Are there joint bank accounts, a home, pensions? Are the debts yours together or are both mutually liable. Are there pensions? "What about what I owned before the marriage? Does he get part of that?" Don't be outgunned or outmaneuvered. Make sure your interests are protected.